Czech media theorist Vilém Flusser (1920-1991) coined the term “technical image” to describe the way in which images model texts in a world fundamentally changed and defined by industrialized modern culture. 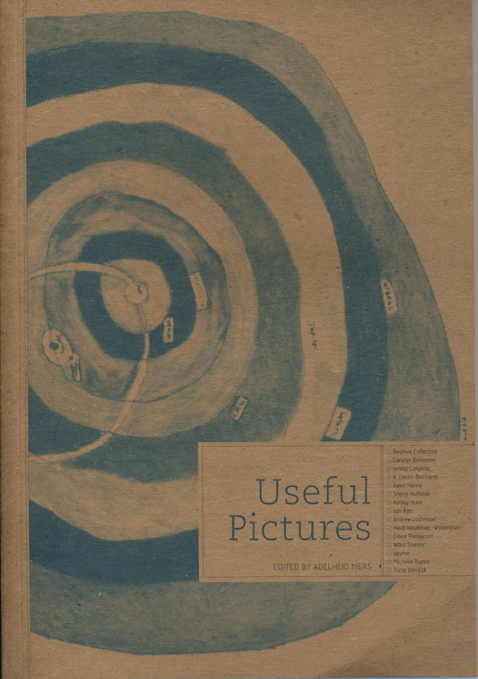 The fascinating collection of artists’ projects assembled in Useful Pictures develops the notion of the technical image in a series of visual diagrams that exceed Flusser’s wildest dreams—going beyond mere textual description or image mapping in order to make new connections and new sense through a hybridized visual language. The thirteen artists represented here present a series of iconic projects that combine image and text into a variety of complex diagrams that not only construe existing texts, but also propose new constructions and means of communication through radical cartography, comprehensive mapping, and thought-provokingly alternative visions.